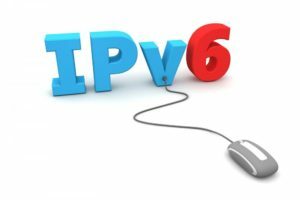 While IPv6 may become the standard Internet Protocol at some point in the future, it does not seem to be anywhere near that standard for now. For network administrators, moving to IPv6 is not a feasible option. From information to gather and plans to follow, the scale of this migration is something IT professionals are not prepared to undertake. 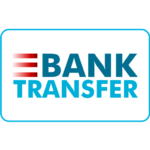 From new equipment for infrastructure to entirely revamping the server system, IPv6 migration will include costs that may reach way beyond what an organization can afford. Also, more personnel will need to be hired for complex functions. These costs and other unexpected ones make it an impractical option. Although IPV6 provides a secure protocol, its implementation can lead to risks and hamper an organization’s security. The security tools will need to be updated and the equipment may require rigorous configuration. Also, there are tunneling protocols that are used to make the transition to IPv6 smooth. They allow the IPv6 traffic to pass through IPv4 data stream. This poses a risk to security as users can start running these tunneling protocols before they are ready to be used. Legacy systems refer to old systems that serve a very important function for an organization but do not support existing technology. When it comes to IPv6 migration, the devices on a network server need to incorporate IPv6 addresses along with their IPv4 counterparts. If the legacy system does not support this feature, it may create a serious problem for the organization. IPv6 migration can be a very tricky business. From complicated equipment handling to making renewed network connections, IPv6 migration requires a certain level of expertise. Moreover, as IPv4 will not just simply fade away, there will be compatibility issues as well. Since all of an organization’s network resources have been using IPv4 addresses for years, it may be difficult to clear up its inventory. From DNS server settings to networking devices, all of the system was designed keeping IPv4 at the core. Getting rid of this, with proper backup in place, can be a very taxing task for IT professionals. Moreover, it can lead to increased server downtime which can prove to be a mini disaster for any organization. With all of the reasons above, migrating to IPv6 may not be a smart choice. Until the time is right, you may need IPv4 addresses. We at IPv4 Mall are IPv4 address brokers. Whether you want to buy, lease or sell IPv4 space, our online platform has got the solution.